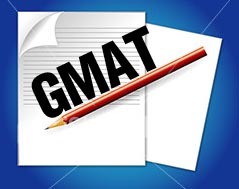 Home › FAQ › When Should You Take the GMAT? When Should You Take the GMAT? Anyone hoping to attend business school and anyone who wants to earn an MBA should take the GMAT at some point, but many undergraduates want to know when to take the GMAT. This computerized test looks at your reasoning skills and abilities and your grasp of the English language, but it also tests you on some of the knowledge you learned in college. You generally want to take the test during your last year in college or before you apply to business school. The GMAT is a standardized test alone the same lines of the GRE or the MCAT. The MCAT is an extensive examination given to students interested in applying to medical school, while the GRE tests more general knowledge and is usually required of graduate programs in topics like computer science and psychology. The GMAT includes different types of questions that look at your reasoning skills. Some sections require strong math skills, other sections look at your reading comprehension skills and others focus on your problem solving and critical thinking skills. The competition to get into business school grows with every passing year. Students once received acceptance letters for simply maintaining a high grade point average and completing a business degree. As the number of students applying increases and the number of open spots remains the same, business schools want the best students in those programs. Your score on the GMAT may help you get a spot in one of the top programs in the country, while a smaller score on the exam may result in you getting multiple rejection letters in the mail. There are a number of different ways you can prepare for this test. Once you know when to take the GMAT, you can better focus on getting ready for the test. You usually want to start preparing at least six to eight weeks before your test date. Some schools offer private programs and group lessons that let you get help, feedback and advice from professionals who scored highly on the GMAT. You should also look at practice tests, which you’ll find in books and online. Practice tests often feature answers used on previous versions of the real GMAT. When to take the GMAT often depends on when you plan to enter business school. Brian Burnsed of U.S. News and World Report points out that the score you receive is only valid for a period of five years after you take the test. If you want to take some time off and gain some real experience in the business field before going to school, it might be better to wait to take the test. If, however, you want to go right into business school, you should take the exam during your junior or senior year in college. You usually want to take the test within one year of applying to business school. The GMAT is a computerized test used by business schools to measure your reasoning skills. A strong score on that test shows that you might do well in an advanced business program. When to take the GMAT depends on when you want to go to school, but you should take the examination during the year before you apply to business school.